Aw yeah, a new Chrome Experiment game just in time for summer. Roll It, Google’s latest multiplayer fun, lets you relive the old days of Skee-Ball on the boardwalk arcade right in your own room. Much like previous Chrome Experiment games, users can log in with a computer and smartphone, utilizing the latter as the controller. On the smartphone, you’ll get a special code to enter in order to sync the device with your computer. Google naturally recommends that you use a Chrome browser to control the game although any “modern Web browsers” should work. While we were able to use our Samsung Galaxy S2’s pre-installed Internet app for Super Sync Sports and World Wide Maze, our luck ran out with Roll It and we were forced to run the game from Chrome. After the sync, the smartphone is now set up for up to three players. You can tilt left or right to determine the number of players, or to restart, end, or continue to the next levels. During the game, tap the arrow to aim, and flick the phone upward to toss the ball. You can swing your phone back to gain momentum if you want to recreate the feeling of playing real Skee-Ball, but we recommend you just flick your wrist to prevent accidentally throwing your phone into the computer screen. By utilizing your phone’s accelerometer, the faster you flick the phone upward, the higher the ball flies. It took us several turns to get the speed adjustments right, and we got a few lucky tosses here and there. The graphics ran smoothly during our quick game, though you should expect slow loads and glitches if your Internet connection is poor. Otherwise, Roll It is sure to keep you entertained for a bit especially thanks to multiple levels with different Skee-Ball cup layouts. 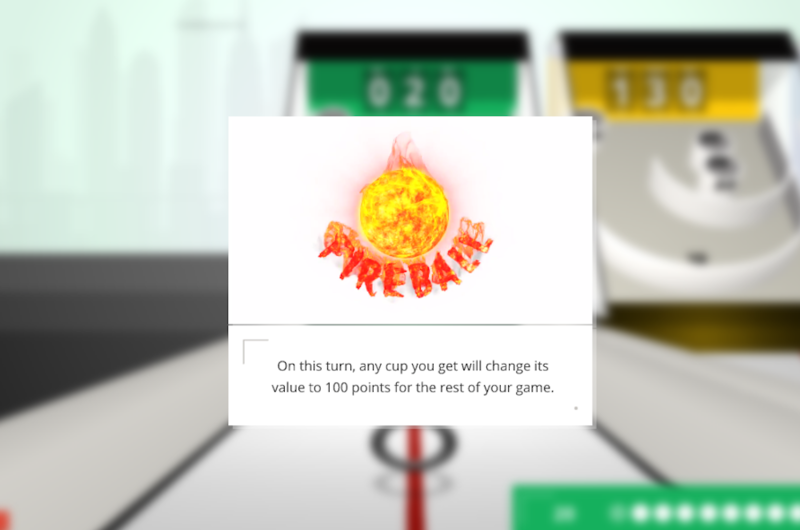 The game also introduces power-ups like the Fireball to turn any cup into 100 points as long as you make the shot. Our verdict: No matter how good you are at video games, Chrome Skee-Ball and real life Skee-Ball are equally difficult to master. Roll It also forces you to share just one smartphone for all three players so you can’t play remotely or simultaneously. Don’t accidentally press the back button on your smartphone either! If you lose the synced webpage, you won’t be able to retrieve the code to continue the game session – unless, of course, you had it written down. Try Roll It today if you’re itching for some arcade games, and get right with the season.